The BBQ Chef Inc Smoke Box is a unique disposable container filled with natural woodchips. The smoke box is BBQ ready and easy to use. 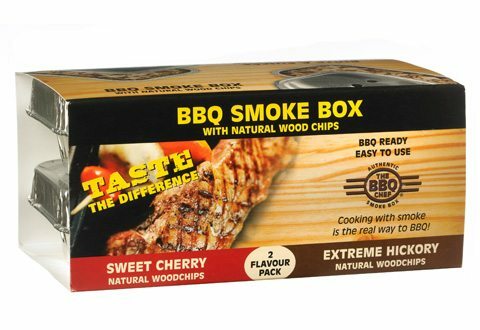 The woodchips produce an aromatic smoke that infuses the food, adding a delicate flavor and turning any barbeque into a delicious meal. A step up to your every day grilling! Apple produces a mild and some say slightly sweet, delicious flavor. The wood is mild enough for chicken and turkey. It is best for poultry, fish and ham. Serve chutney made from the same fruit to accentuate the flavor even more. Mesquite produces a strong earthy flavor. 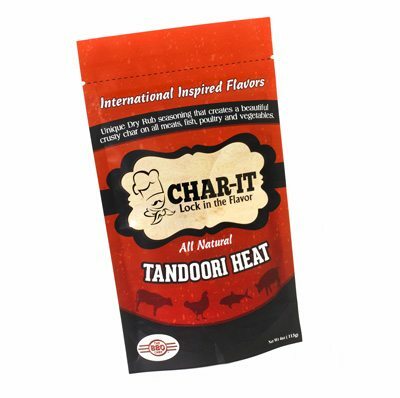 It has become extremely popular for grilling steaks and fajitas as it burns very hot. This wood is good for smoking when mixed with other milder woods. It’s a perfect complement to richly flavored meats such as steak, duck or lamb. Hickory is said to be the king of woods. This wood produces a sweet to strong, hearty taste. Hickory flavor is perfect for ribs and pork shoulder. Also great for poultry and red meats. Maple wood is one of the sweetest smoking woods, with a very mellow taste. Try it with all red meats including venison. Maples’ smoky flavor is great with salmon, ham and veggies. Oak is considered the Queen of the BBQ smoking woods. It produces lots of smoke that imbeds deep into red meats and pork. This wood flavor goes exceptionally well with brisket. It adds great flavor to steak and wild game. 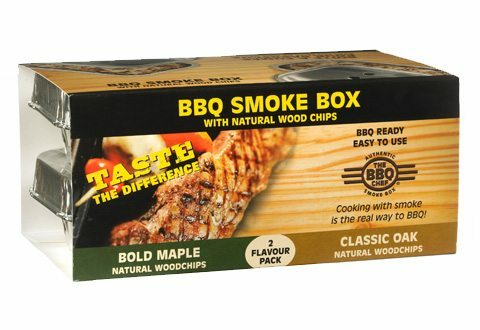 The BBQ Chef Inc Smoke Box is a unique disposable container filled with natural woodchips. The smoke box is BBQ ready and easy to use. 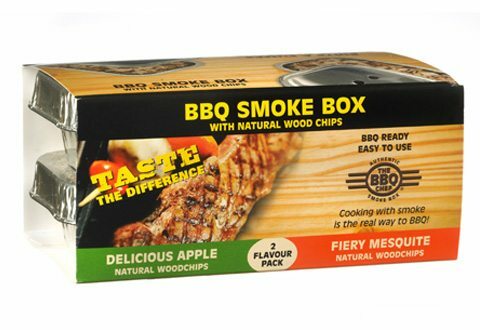 The woodchips provide an aromatic smoke, adding a delicate flavor and turning any barbeque into a delicious meal. The woodchips produce an aromatic smoke that infuses the food which adds a delicate flavor to the food being barbequed. A step up to your every day grilling. Cherry gives a mild and sweet fruity flavor. Works marvelously with poultry, game birds and pork. The Native Americans of the Pacific Northwest discovered long ago how to enhance the flavor of their foods by cooking with Cedar, the king of Planks. Now we have taken it a step further! Capture the essence of Wood and Wine; magic begins when the plank begins to smoke, enhanceing your food with these delectable subtle sweet smokiness flavor by grilling with our Wine Infused Planks. Choose from Merlot or Chardonnay Infused for seafood, meats, vegetables and even fruit. The result is juicy, moist and aromatic food. The Native Americans of the Pacific Northwest discovered long ago how to enhance the flavor of their foods by cooking with Cedar, the king of Planks. Now we have taken it a step further! 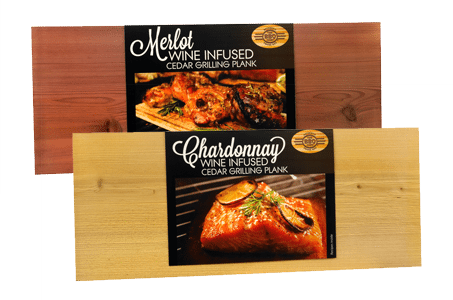 Capture the essence of Wood and Wine; magic begins when the plank begin to smoke enhance your food with these delectable subtle sweet smokiness flavor by grilling with our Wine Infused Planks. Choose from Merlot or Chardonnay Infused for seafood, meats, vegetables and even fruit. The result is juicy, moist and aromatic food. 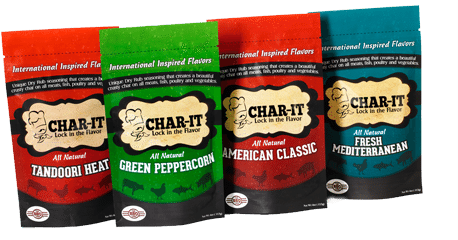 Unique and international inspired blends of dry rubs created to produce an amazing crusty char that lock the flavour on meats, fish, poultry and vegetable, keeping them juicy and tender. All natural, with no artificial colors or preservatives. Fire up your grill and taste buds with this medley of peppercorns, smoky blend of spices, herbs and peppers. WOW! 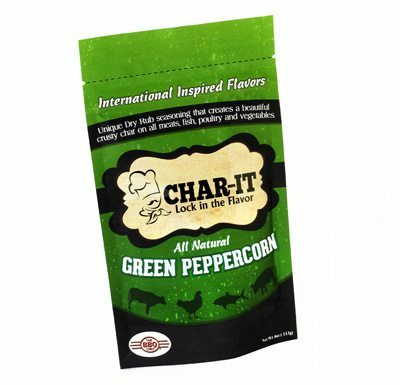 Smoky and tangy with a little bit of heat that adds amazing flavor without changing the natural flavors of food. This is American Classic. 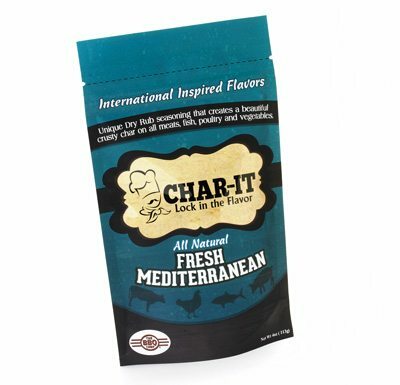 Abundance or herbs blended together to produce a fragrant taste that evokes the fresh taste of the Mediterranean. Spices from India carefully chosen with just the right heat for an exceptional taste that will have you wishing for more. Delicious on steak, roasts, salmon and tuna. 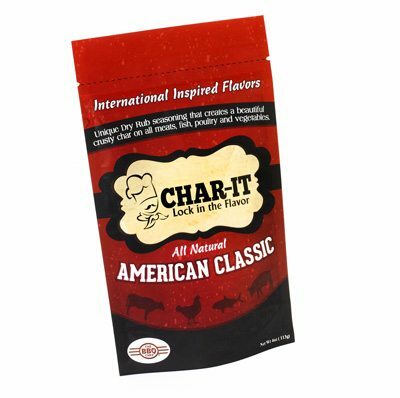 Use this classic blend on ribs, shoulders, beef, poultry, seafood and even veggies, for the authentic American barbeque flavor. Terrific on lamb and seafood. Perfect for flame grilled chicken, baked tagine or roast veggies. Abundance or herbs blended together to produce a fragrant taste that evokes the fresh taste of the Mediterranean. Terrific on lamb and seafood. Sign up for updates on new recipes, products and offers! You will be hearing from us shortly. Pick your favorite one or grab the whole range of mixes for maximum options for your next BBQ. When it comes to burger mixes, there is nothing like The Original. The sassy smoked paprika combined with sizzling spices like black pepper, mustard and cayenne will elevate the flavor of your meat. The cooking process will raise the flavors of the burger to the next level and let the whole neighborhood know you’re grilling a masterpiece. The mix has a dash of garlic powder and molasses powder that will do its magic leaving an amazing taste that is hard to forget. And if that isn’t enough to tempt you, the all natural seasoning mix is gluten, MSG free and consists of non-GMO ingredients. 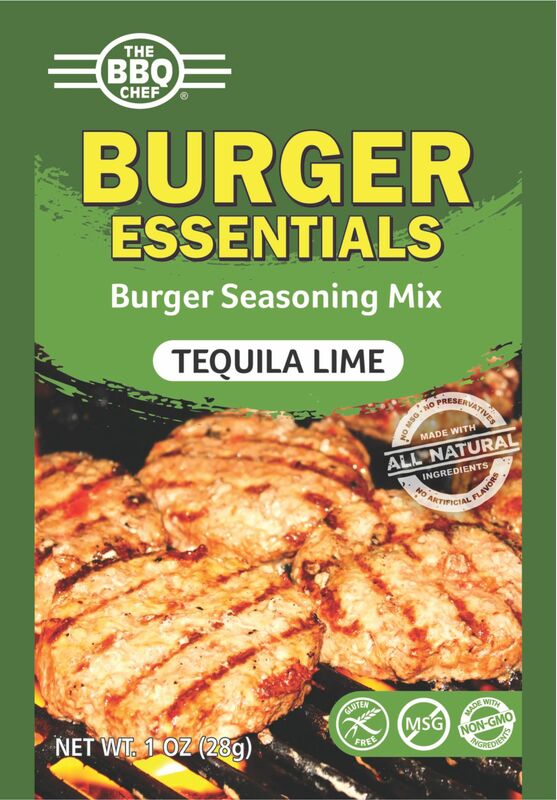 If you are passionate about burgers, then this Tequila Lime mix is a must-have for your kitchen. The mix has natural lime and tequila flavor that will impart some exceptional flavor and tanginess to your burger. With a hint of garlic and onion powder, the flavor of the meat is enhanced. The natural sea salt and cilantro in the mix will surely impress your friends and family, as you prepare your statement burgers for them on a Sunday afternoon. Get this amazing seasoning mix and remember our mix seasoning is gluten free and contains all natural ingredients. Excellent for Chicken and Turkey burgers. 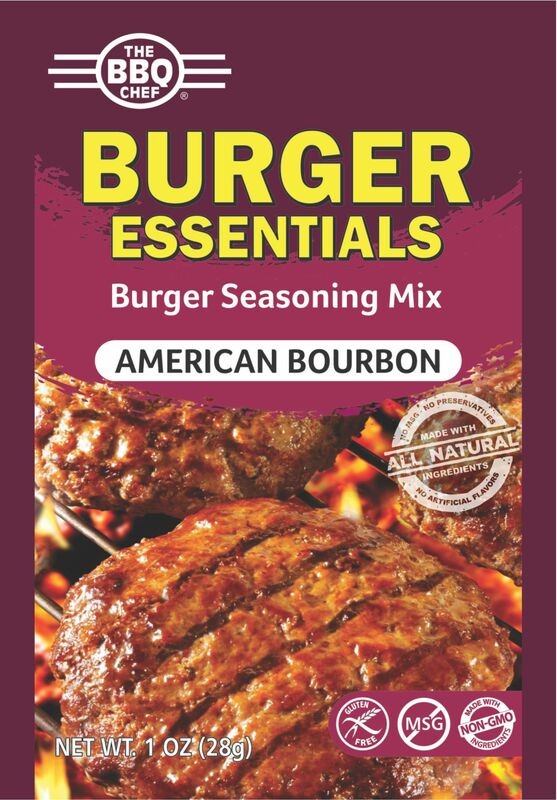 Be ready to give a professional touch to your burgers with this American Bourbon seasoning mix. Imparting an authentic American Bourbon flavor to your burgers that will surely bring a lot of compliments at your next BBQ. Packed with tongue-tingling spices like cayenne, mustard, and black pepper, the mix also contains smoked paprika that will leave you high on taste. The natural smoke and bourbon flavor will give a unique and authentic flavor to your burger that is too hard to match with anything at all! The gluten free and non-GMO seasoning mix is composed of all natural ingredients. 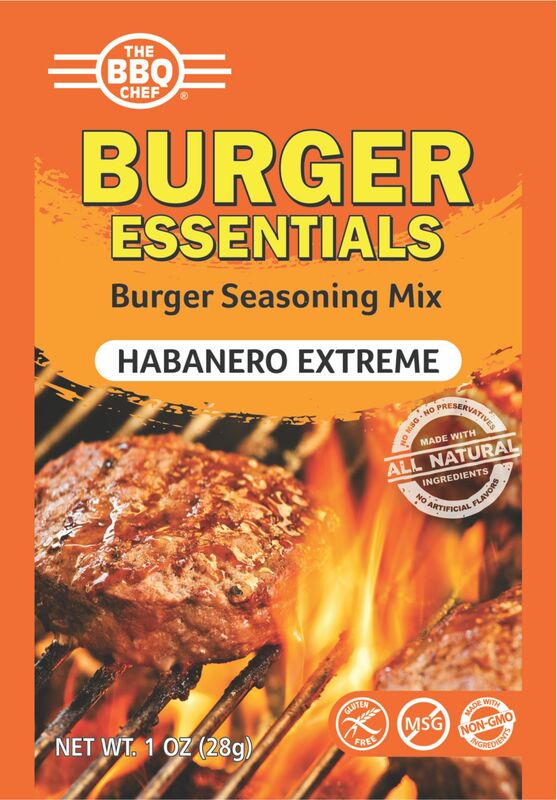 If you are a fan of spicy and sizzling hot burgers that just melt into your mouth, then this hot Habanero Extreme seasoning mix is all you need. The seasoning mix is packed with spices like cayenne, coriander and cumin that will make your next homemade burger meal irresistible. The garlic, tomato, onion and Habanero powders are all mixed in just the right proportions to make you prepare your burgers like a pro! 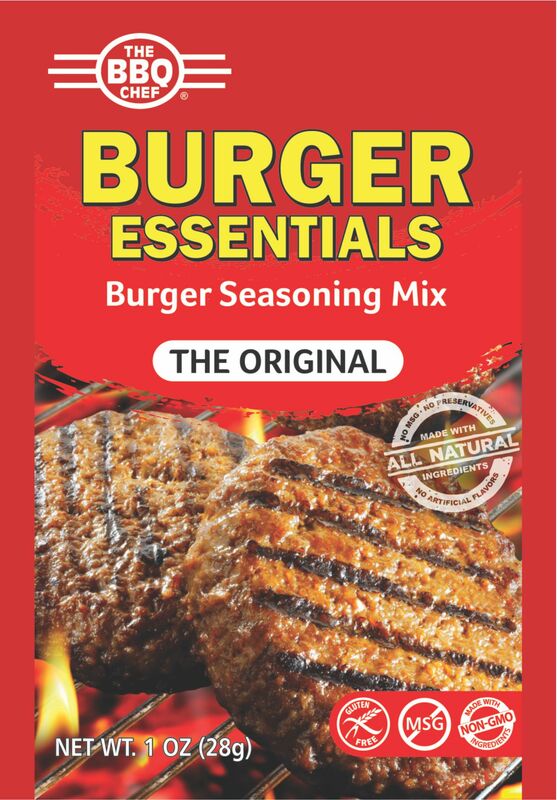 All natural and composed of non-GMO and gluten free ingredients, the seasoning mix will surely be your next favorite burger essential. It is sure to impart a one of a kind of flavor to your burgers that will make them the hottest talk of the town! © 2017 The BBQ Chef. All Rights Reserved.